Night-time bedwetting, known formally as nocturnal enuresis, is a condition in which a toilet-trained child regularly urinates (pees) while sleeping. It is a common condition among young children and is not a sign of laziness, naughtiness, or any emotional immaturity. It is important not to blame or shame the child over this behaviour, which is not under the child’s control. The question of when bedwetting becomes a ‘problem’ depends greatly on the attitude of the child and the family. 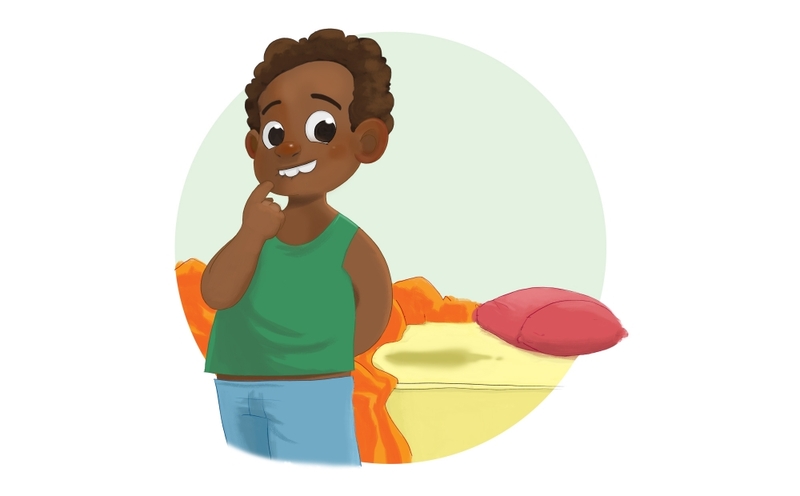 The main factor in deciding whether to treat bedwetting is the child’s degree of concern with the issue and their internal motivation to resolve it. Many boys do not stop until the age of eight. Many more children wet their beds occasionally until they’re 10. In a few people, bedwetting can persist into the teen years or adulthood. There are several treatments available for bedwetting. For the vast majority of children, bedwetting eventually goes away by itself with or without treatment. Drinking a lot before bedtime. Emotional factors are not a major influence on bedwetting. However, stress or changes in circumstance can occasionally trigger or increase bedwetting in a child. In some uncommon cases, bedwetting has an underlying medical cause (see ‘Potential complications’ below). There are several approaches to treating bedwetting. In-home methods are usually the first to be tried. If these do not help, your doctor can suggest more advanced options. Treatment strategies can often be combined for greater effect. Encouraging the child to empty their bladder just before bed. Strict restriction of drinking before bedtime. The practice of waking the child at night to go to the toilet is recommended by some experts, but not by others. It provides more ‘dry’ nights, but may not help your child’s body learn to react to signals from their bladder. Being calm and patient and not allowing siblings to tease the child about their bedwetting. Bedwetting is a common condition among young children and is not a sign of laziness or naughtiness. Alarm systems have proven to be the most effective long-term solution to bedwetting. Two out of three children respond positively to the treatment and many of them remain dry afterwards. Alarm systems consist of an alarm or bell attached to a moisture-sensitive pad. The pad might be worn on top of the child’s night clothes, or placed on the child’s mattress. When the pad gets wet, the alarm rings and wakes the child up. It is important that the child be the one to turn off the alarm. After going to the toilet, the child replaces wet bedding and clothes, dries off the pad, and goes back to sleep. The child needs to be fully awake and aware of their actions, otherwise the effect of this method is lost. Alarm training helps about two-thirds of children stop bedwetting within weeks or a few months.2 Sometimes the treatment needs to be repeated more than once. Medication treatment for bedwetting is less effective than alarm systems as a long-term solution. It is usually tried after alarm training has been attempted. Medications work more quickly, but their effect stops as soon as you stop taking the medicine. They can also have side effects such as headaches and nausea, though this is not common. Of these medications, desmopressin is the one most often used to treat bedwetting. It reduces the volume of urine the body produces. Imipramine is more effective than desmopressin, but is more likely to produce side effects. Emotional distress, violence or sexual abuse. Investigations may include urine tests, blood tests and an ultrasound of the kidneys and bladder. Some children can start to wet their beds again after a dry period of six or more months. This is known as ‘secondary enuresis’. Though this can happen for no particular reason, and go away after a while, it may also be a sign of emotional distress or an underlying physical condition as mentioned above. For this reason, it may be advisable to consult your doctor. Bedwetting causes no physical harm to the child, generally stopping without treatment as the child becomes older. About 15% of children naturally stop every year.2 One or more of the above treatment methods will help most children.